I’m a sharer. I’m an open book. I value vulnerability. I love transparency. I dislike secrets. I dislike surprises. So in the name of all those things, I just wanted to have a chat/update. As you know, I got married in October. I turned 34 this month, 11 days ago. The hubs will be 33 in a month and some days. As you also know, I love kids. William and I were both nannies in our former lives. A general assumption could be made that we want to have kids. I LOVE being a newlywed and would love to spend many more years basking in the fun-ness of that. However, since we fell in love later in life – time is not on our side. In the name of transparency, I’ll let you know TMI fact #1: we plan to start trying to have kids in August. Starting somewhere along that time has been the plan since the beginning, though we considered starting earlier but needing to add additional insurance policies and Open Enrollment and dates and such solidified August being the start time. But, since we knew it was in the coming future, we knew there were some health things we wanted to do in the days that lead up to that. Firstly, pregnancy is terrifying! I’ve heard so many people talk about how challenging and painful it is, and I’ve also heard great stories from people who loved being pregnant. I have some lower back issues (disk degeneration in my L4 and L5), and when marriage happened, and pregnancy became a legitimate possibility/hope/dream, I knew I wanted to make my body and back stronger to be better equipped to carry a baby. In perfect timing, our church started a pilates class in January! It ran from January – May twice a week and I was mostly faithful to go to that. I fell in love with pilates and do it sometimes in my office now on my lunch break, though not nearly as often as I’d like. Secondly, though I’m all about the body-positive movement, think you should love the way you look AND yourself no matter your size, and hate the D-I-E-T word, we both knew we wanted to be healthier if kids were actually a real possibility/hope/dream. We both wanted/want to be healthier physically on the inside and out so that we could be better future parents who live long lives. We love food, hate working out, and support the idea of every meal coming with dessert. So the discipline to get healthier wasn’t and isn’t something that comes naturally to us, yet. Again, I hate the D-I-E-T word, but in short, we need/needed to lose weight! A friend at church was (and is) having great success losing weight taking dietary supplements that were seemingly healthy. I am a major diet pill skeptic. I’m a major diet skeptic. I’m a major anything that makes you lose weight in an unhealthy way skeptic. BUT, her weight loss seemed to happen at a natural and consistent pace, and any side effects seemed to only be healthy ones. In a years time, she lost 70+ lbs! And looked healthy and still ate real food. I researched and researched and couldn’t find any bad stories about the products she was using. We decided to give them a try to kickstart our get healthier parent-bod goals. The picture on the left was taken in January right before we started taking TruVision. The picture on the right was taken last week. And my results are minuscule in comparison to my friend’s! Because we are lazy, we literally changed nothing up about our eating and nothing physically other than pilates twice a week for me. We are both down a pants size, William is also down a shirt size, he’s lost around 15-20, and I’ve lost around 15 as well. The supplements, 2 easy to swallow pills that you take twice a day, help give you energy and help curb your appetite. I felt the energy, a very natural feeling energy, not jittery, immediately! I haven’t had morning wake me up coffee or morning caffeine since I started taking them in February. I occasionally still drink coffee for coffee dates with friends, but only because I love the flavor, not because I NEED it like I did before. And let me pause to say, I tried to cold turkey quit morning coffee/caffeine once, and it was the worst 30 days ever! We also very quickly noticed a difference in the amount of food we ate. We went from having no problem finishing any restaurant meal ourselves, to either sharing one meal together or having a second meal each from whatever we ordered. I mean, I’ve never had trouble finishing a Baba Burger myself, but now I can only eat half. My snacking decreased majorly to almost non-existent. William already forgot to eat lunch and/or breakfast sometimes (who does that?!). I ALWAYS eat breakfast, but sometimes, depending on what I had, I look at my clock and it’s almost 2 and I have to make myself pause to eat. NOT eating is never good! But I really think it helps you listen to your body when it is actually hungry vs. eating out of habit or giving into food addiction/craving. So all that to say, I really do believe in this product! My doctor said it looked good until we get pregnant and then as with most medicines not to take it during pregnancy just to be safe. My friend’s oncologist said it was good to take and that all the ingredients looked good for you. And another friend’s doctor also said it looked like a great product. There are SO MANY success stories. I’ve been hesitant to talk about it or tell anyone about it because I do hate that D-I-E-T word and want people to love themselves and bodies. But, I recently told a friend about it, she tried it for a week, lost 5 lbs in just a week, and genuinely felt in control of her food cravings for the first time in a long time! And so, in case there is anyone else out there who might feel the same desire to hear about it and try it as she did, I wanted to share our experience with it. If you have any questions or would like to try it, email me, text me, FB message me, etc.! Now, onto phase 2 of project parent-bod/TMI fact #2. We are easing into a D-I-E-T (Can we call it new eating style? Let’s!) this week and starting it head on in June. And by easing I mean – I had chocolate cake last night. Because I will never stop posting pictures of my food (#sorrynotsorry), I just want to put this out there. 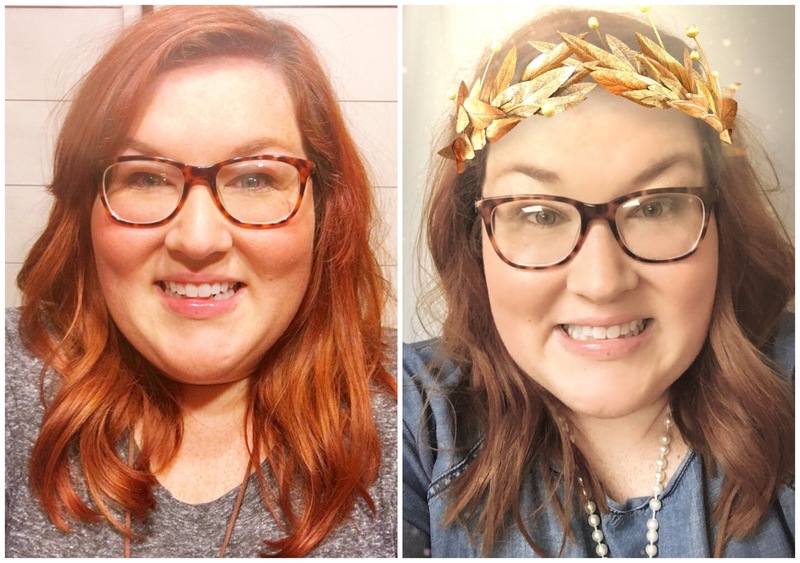 Short version – I have PCOS and we are going to start a PCOS “diet.” Longer version – I have PCOS, polycystic ovarian syndrome – a hormone imbalance. I have a milder case of it than lots of women. My doctor doesn’t think we will have issues, but one of the most unfortunate PCOS problems is trouble getting pregnant. As we haven’t tried yet, we don’t know if I will have those issues and hope that I won’t! However, I figured it couldn’t hurt to be proactive and to try to do things in the months leading up to August that would help better prepare my body for pregnancy. As I mentioned, getting stronger (still a work in progress) is part of that, as is weight loss, and as is this new eating style. It’s basically a fertility health diet, low-glycemic, very paleo-like. The basics: no processed sugar (honey, coconut sugar, and stevia are allowed on occasion), no soy, only good oils (olive, avocado, coconut, and fancy butter), low-carb (no grain-based foods in particular), antibiotic and hormone free meats and eggs, limited dairy, lots of leafy greens (especially romaine apparently), high fiber, high protein, more cinnamon, etc. The real for real kick-off will be June 11th. Why? May 28th I’m hosting a wedding shower. May 31st we have a rehearsal dinner for a wedding William is in. June 1st we have a wedding. June 9th we have a rehearsal dinner for a wedding I am in. June 10th we have a wedding. Problematic! So June 11th. William doesn’t have to do this new eating style, but I’m glad he wants to because I’m not sure I could quit sugar without him. Y’all. You’ve seen my posts! You’ve seen how much I love baked goods. I am going into this with lots of pouting and kicking and screaming TBH. I already want to quit before we ever even start haha. BUT, whether we are able to get pregnant right away or at all, I know this will be good for us. And if you have spare room on your prayer list, pray that a. we will survive the sugar detox and b. that our efforts are fruitful and getting pregnant won’t be an issue. So that’s it for this edition of TMI/transparency with Kasia. PS. If you do the paleo, low-glycemic eating style thing, share your tips and recipes! I love your transparency. I’m glad you’re having good results. I had issues and had to quit taking it. Know I’m praying.